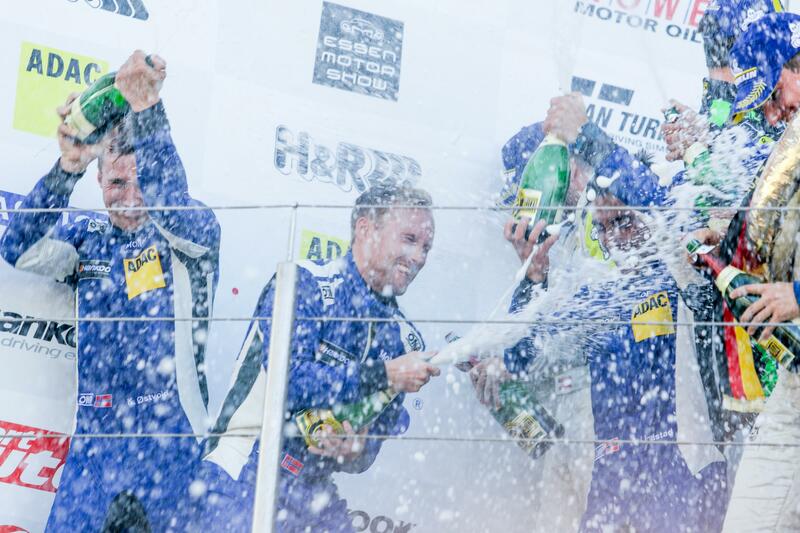 Once again we won the longest race of the VLN-season when we finished first in the TCR-class on Nürburgring Saturday. After the best summer ever it was time for some racing again this past weekend. We had done some changes to the car, and the test on Friday confirmed that the changes were a step in the right direction. All four drivers where all within a few seconds of each other, and the pace was good. On Saturday morning the qualifying was as usual filled with accidents and code 60’s. So it was impossible for Håkon, Anders and me to post any good lap times. 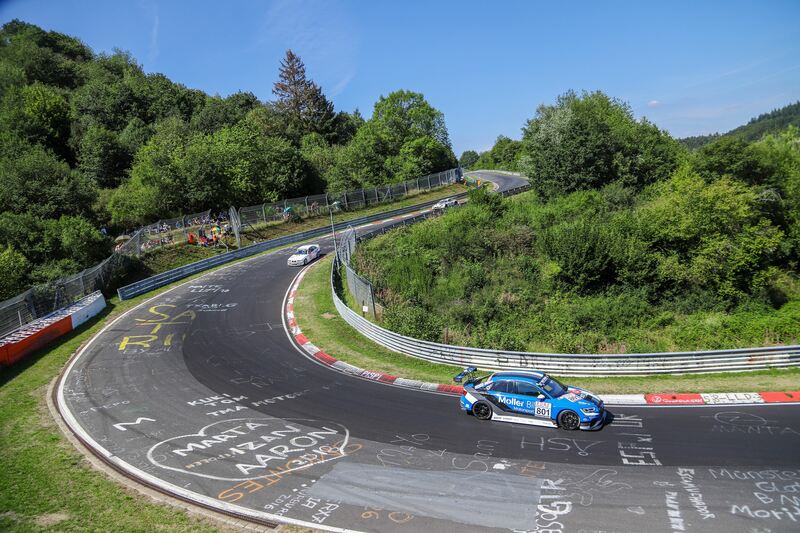 But luckily the track cleared up, and Kenneth drove a brilliant lap of 08.42 – the fastest TCR-lap ever in VLN – and secured pole position. Kenneth started the race and was increasing his lead for every lap. 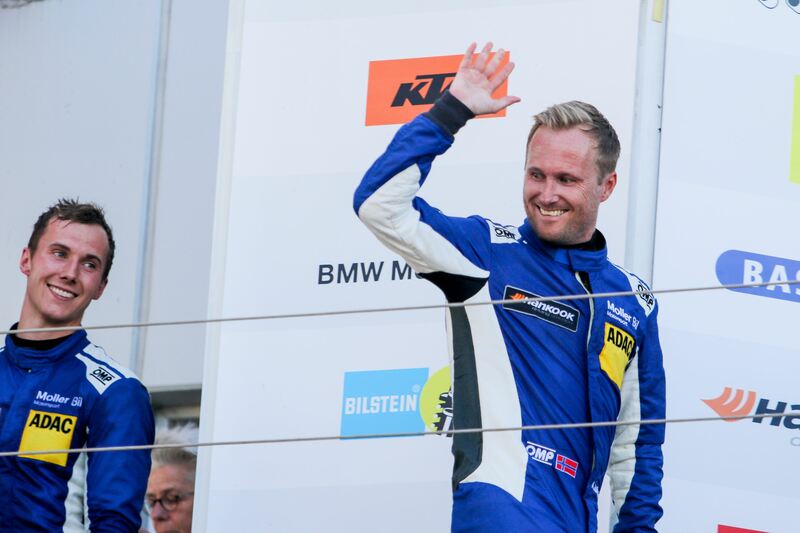 Håkon continued to do the same, but had a small collision towards the end of his stint. But our lead was now so comfortable that Anders, myself and Kenneth for the last stint, just had to bring the car home – as safe (and slow) as possible. I have never driven a stint so slow in my life. Our lead was around four minutes when I drove out of the pits, and with a car that was not 100% ok, it was only one thing to do; drive slow, don’t damage the car anymore and bring it home. And that’s exactly what I did, but still I was faster than my competitors at the time. After the race we headed for the podium to receive out trophies together with the overall winners, and then the party started! Next race in two weeks.